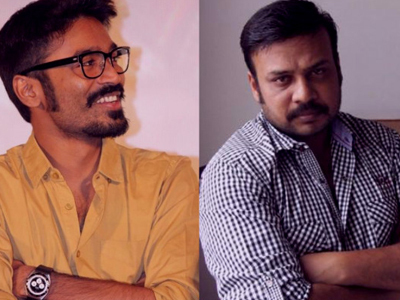 Dhanush’s untitled film in the direction of Prabhu Solomon is nearing its completion. The film’s story deals with the lead characterizations train journey from New Delhi to Tamil Nadu, and major portions of the film was shot in the train. actress Keerthy Suresh in the film, while Veteran actor Radharavi plays the role of an MLA, and Anandhi of Kayal fame will be seen in a crucial role. Dhanush plays Railway catering staff role while Harish Utthaman is the negative lead in the movie. The entire shooting schedules will be wrapped up in ten days and the post-production works will follow. The title and first look of this Sathyajothi Films Production movie are to be released soon. D.Imman is the music director. Besides Prabhu Solomon film, Dhanush is also busy with Thangamagan and two more films to be directed by Durai Senthikumar and Vetri Maaran, while he has also signed up for Maari 2.